Ginger is a great root vegetable to make our dishes flavorful and delicious! Ginger is readily available and very easy to store for long term. We should always buy fresh ginger and avoid easy peeled or easy cut ginger. They lack the true flavor of ginger and wind up being pretty expensive. 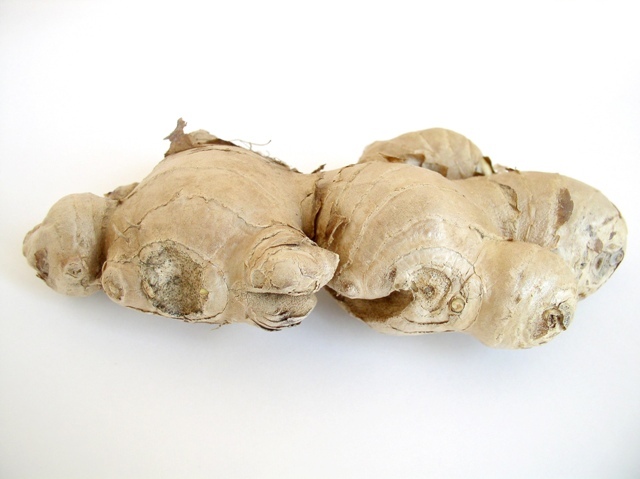 When buying ginger we want to buy the freshest ginger available We want a firm, plump and unwrinkled root. This will provide the best flavor and also last the longest during storage! Freshly bought ginger can last quite a long time if stored properly. Depending on how often you use ginger is how we should go about storing it. If you are a regular ginger consumer, the best place to store ginger is in the refrigerator. We should cut off the chunk we need for our recipe and then place the rest of the root in a Ziploc Bag to keep it fresh and the aroma contained. Ginger stored this way will keep fresh for 2-3 weeks. If we you are a casual ginger consumer or simply bought to much ginger we recommend storing it in the freezer. The root should be stored in a Ziploc Freezer Bag where it can last up to 6 months! Tip: If you are freezing your ginger, there is no need to thaw it ahead of time. Frozen ginger actually grates very easily! Store Unwrapped: Ginger is very aromatic and if tossed in the fridge it can transfer its odor to other foods. Avoid Soft Ginger: Ginger should be hard and not soft. This is a sign of spoiled ginger and should be avoided. Avoid Wrinkly Dry Ginger: This is a sign of old age and usually means the root has lost most of its nutrients and won’t keep long.